Thanks to modern technology, building a viable recording studio at home is now easier than ever before. With a few simple pieces of equipment, any musician can produce a decent-quality recording right from the comfort of their basement or bedroom. However, when purchasing studio equipment yourself for your home studio, it’s essential you do the research and get your money’s worth to give your recordings the quality they deserve. We’re going to review the Best Studio Monitors since they are one of the most significant pieces of hardware. In fact, many producers consider this to be the single most critical piece of equipment in a studio, so selecting a quality monitor can make all the difference between a recording that has obviously been thrown together at home and one that nearly mimics the level of professional productions. There are countless monitors on the market today, but we have put together a list of some of our favorites to let buyers know exactly how to get the most bang for their buck. 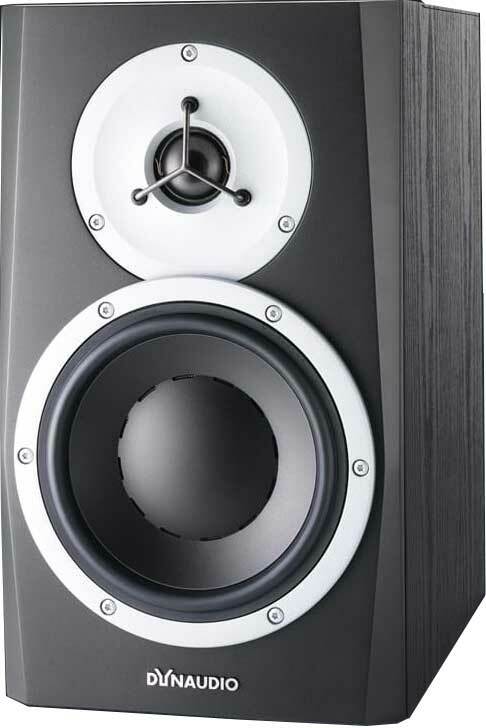 We’ve provided the necessary knowledge of how the best studio monitors work and the different features they include in our Buyer’s Guide at the bottom of the reviews. After reading that you should be ready to begin shopping for the perfect model for your studio. There are countless different models available on today’s market, but we have gathered a list of several top studio monitors that hit an ideal mix of power, performance, and affordability. Professional monitors like those found in the professional studios of major record labels can cost upwards of $10,000, but we have specifically selected our list to include equipment that is more accessible to home producers. 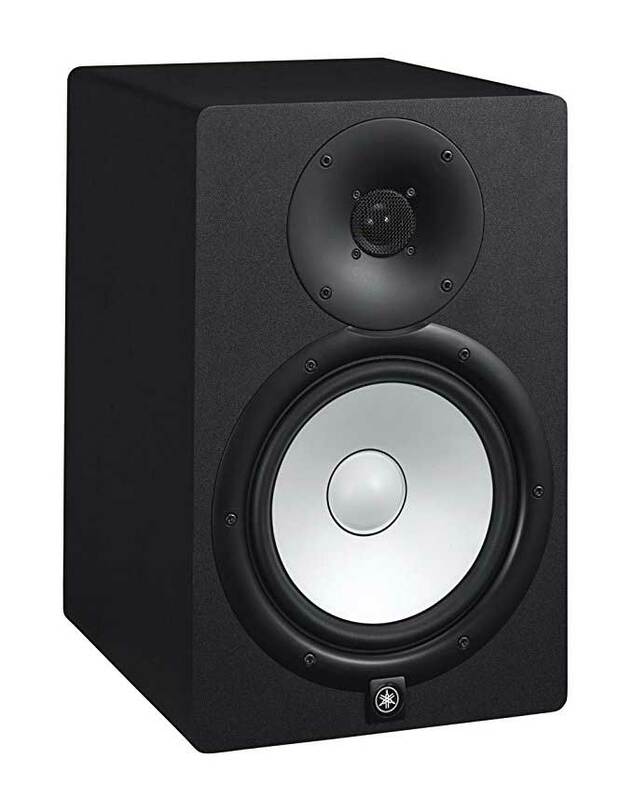 These excellent studio monitors may not give the exact same level of performance as million-dollar studios, but they have all the specs necessary to take your home recordings from mediocre to phenomenal. Don’t forget to consider the acoustic treatment of your studio either. You can get these ones in solid gold if your wallet can take it. The Yamaha HS8 is based on the classic Yamaha NS-10 design from back in the 1970s, but will all-new modern technology. Designed as a member of a new Yamaha lineup with a focus on audio clarity without altering any of the original sounds, the HS8s make sure you hear only the original audio without any of the enhancements or changes that can cover up imperfections instead of fixing them. In fact, the entire HS specializes in producing a flat response with a clear sound image, meaning that you’ll only get the crispest, cleanest audio. As part of their new line, Yamaha has completely redesigned the HS8s to include brand new transducers, which in turn offer a better response across a wide bandwidth. As a result, you’ll be sure to have precise, clear sound across the entire audio spectrum. The upgrade from a 1-inch tweeter to a .75-inch tweeter also yields a better frequency range, which in turn offers better overall sound quality. The HS8’s subwoofer has also been improved, so you’ll see good results across a wide array of productions. When it comes to amplifiers, the entire HS series employs an amplifier unit that matches well with the transducers used in every one of the series’ models. Better still, these outstanding studio monitors’ bi-amp design uses a specific amp each for both the woofer and the tweeter, meaning you’ll hear a high-quality flat response across the entire audio spectrum. As for cabinets, the HS8’s design is specifically meant to dampen excess resonance and boost the precision of your sound. These cabinets are made from top-quality medium-density fiberboard (MDF), a thick and durable material that will absorb unwanted sound waves with ease. Yamaha also employs an effective technique that makes use of three-way mitered-joint to secure the corners of the cabinet, thereby both anchoring the fixture and helping to cut down on resonance at the same time. Another major plus of this studio monitor is the design of the speaker’s ports. In other monitors, these ports can produce unwanted noise when the vortex on each side of the port produces vibrations in the air. The HS8s, however, corrects this problem. Thanks to cutting-edge noise reduction technology, Yamaha has discovered a way to control the vortex and reduce audible noise by as much as six decibels. Because of this new design, the HS8s can deliver a nearly professional level of audio right in your own home. But that’s not the only feature that improves sound quality. While some monitors can produce exaggerated low-end frequencies when positioned too close to a wall, the High Trim in the Yamaha HS8s provides more control of the high-frequency response to counteract this issue. These same monitors work well with a wide variety of sources, no matter how balanced or unbalanced they may be. Mixers, audio interfaces, and even keyboards can connect and play effortlessly with TRS and XLR phone jacks. The entire HS series also boasts response controls that help your audio sound better than ever. The HIGH CUT control raises the cutoff frequency of a subwoofer output that has high-frequency attenuation from 80Hz up to 120Hz. The PHASE switch changes the overall phase of the subwoofer. Meanwhile, the LOW CUT switch and the LOW CUT controls can adjust the output of the lower frequencies between 80Hz and 120Hz. Yamaha has been a mainstay of the recording world for decades; the new HS8 design only improves on everything they have developed. With the only downside being a lack of built-in shielding, this model has everything a home producer could need. But the best part of these monitors isn’t even the features–it’s how little you’ll pay for them. Reasonably priced, the Yamaha HS8s pack the best quality audio into one of the most affordable systems around. Even on a limited budget, these studio monitors will have you sounding like a seasoned pro. With a sleek external design and powerful internal hardware, the Mackie HR824 Mk2 can give you crystal-clear audio at any level. 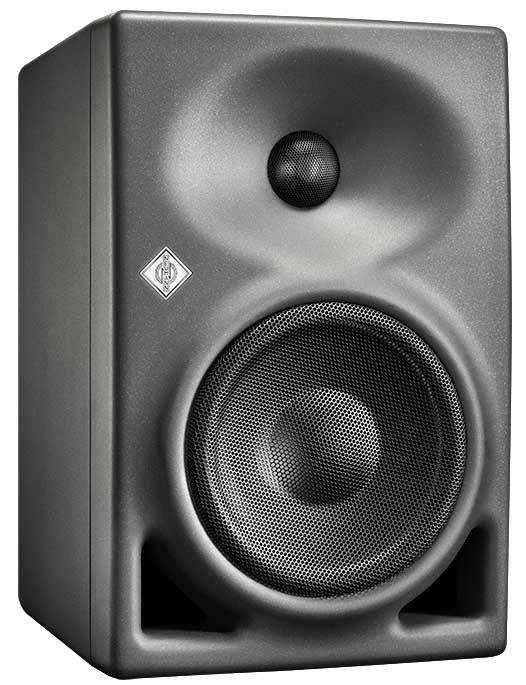 Mackie has developed monitors specializing in precision and even dispersion, and the HR824 Mk2 is no exception. Thanks to an improved three-dimensional sound, the HR824 Mk2 yields a larger sweet spot than many of the other studio monitors available today. The monitor’s design gives it a fantastic bass response, all without having to worry about the typical problems of ducted ports or slots. Passive radiator ports come in place of the standard ports fused in most other speaker systems, and these ports are specially made to have unique surface area. With this design, the air velocity inside the monitor cannot exceed 5% of the speed of sound, meaning that the vent does not become audible even at higher signal levels. All HR Mk2 series monitors are active designs that use separate onboard amplifiers for each driver. Thanks to modern updates, they include onboard time-correction circuitry, as well as active crossovers, both of which help to play both the high and low ends of the spectrum at the same time. And if you’re worried about longevity, rest easy–the HR824 Mk2 is built to last. This studio monitor includes built-in protection circuitry that guards against input level damage, and the custom durable internal bracing aims to reduce reflections and lessen standing waves within the cabinet. The HR Mk2 line also includes an 8.75-inch woofer specially designed for high precision and low distortion. Paired with a ferrofluid-cooled titanium dome 1-inch tweeter, you’ll be hard-pressed to find a monitor that offers this same sound quality. In fact, the HR824 Mk2 drivers have been created specifically to have minimal volume variability, to maintain a proper frequency response, and to be affordable. Although it runs a bit higher than the Yamaha, some home producers may find the extra cost worth it for the durability and precision. Established back in the late 1970s, Dynaudio quickly grew to become a household name in the recording industry. Even today, their brand recognition and stylish designs make them a favorite contender in the studio monitor market. Their latest creation, the Dynaudio BM5 Mk3, is a major part of the new generation of Dynaudio products that boast more SPL, improved power response, and a broader overall frequency. The BM5 Mk3 has top-notch performance thanks to hand-crafted drivers and an ultra-high dynamic range. With a 1.1-inch tweet and a 7-inch woofer, this studio monitor can make any recording sound clear, even in larger rooms. And since the bi-amp design runs at 100 watts, this model can handle your bass frequencies like no other. With so many great qualities, the only real downside to this model is that some producers find the sound quality too bright for their projects. It may not be for everyone, but given the brand’s proven track record and the price tag, the Dynaudio BM5 Mk3 is a solid choice for any home studio. Hailing from Germany, ADAM Audio is known for having three distinct product lines: the high-level SX series, the budget level F series, and the widely popular midrange AX series. In just a few short decades, the AX line has garnered worldwide acclaim, and the A7X stands out as the company’s most popular model of all. As ADAM Audio’s latest iteration, the A7X features significant revisions to the amplifiers, cabinet, and drivers, making it a strong contender in the near-field studio monitor market. Thanks to new Accelerating Ribbon Technology, the A7X has one of the single highest frequency responses on the market at a whopping 50 kHz. Not only can this range handle high levels of sound pressure with maximum efficiency, but it also extends past the range of frequencies that human ears can even detect. Though this may sound excessive at first, such an impressive range means that every frequency you hear will be extremely flat, making it easier than ever to clean up any imperfections. Under the hood, the brand new 7-inch mid woofer can perfectly combine the lower frequencies, while its new amplifier that has double the power of the previous AX model. Together, these two components provide an intense sound with pressure levels that are almost entirely free of distortion. On the other end, one of the ADAM Audio A7X’s most distinguished features is its new X-ART tweeter, a high-tech piece of equipment that produces some of the clearest high frequencies on this entire list. Better still, this supreme studio monitor has an amplifier dedicated to each driver, meaning that the X-ART tweeter is run by its own 50W A/B amp while the mid-woofer runs off a separate 100W PWM amp. The A7X’s front panel contains both the power switch and the volume control while keeping them both separate from one another. 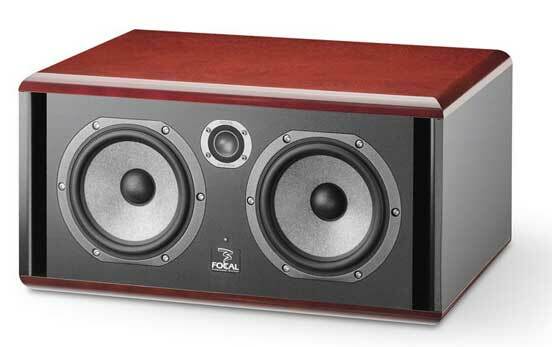 Additionally, this model employs the unique design of putting its bass ports on the front of the monitor, meaning that it can be placed closer to walls while still maintaining untarnished low frequencies. On the reverse, the rear panel is home to several controls such as a high-frequency gain and shelf filters for both low and high frequencies. To top everything off, the X-ART tweeters, the XLR and RCA connectors, and the midrange all use the new Air Motion Transformer for increased compatibility. When you’re searching for some of the best ranges the studio monitor market has to offer, and you can stretch your budget, the ADAM Audio A7X is the choice for you. Since its original release in 1995, the Event 20/20 BAS has made waves all across the recording industry. Though not especially durable, the original Event monitors delivered great sound for an even better price, earning them a fanbase of amateur and professional producers alike. Once a new Australian company purchased Event and redesigned the 20/20 BAS in the mid-2000s, the results only got better. This newer generation of Event monitors offers crystal clear audio, true sound reproduction, and unparalleled auditory character. Thanks to a new two-way speaker ported out of the front of the monitor, increased clarity, definition, and transparency are just a few of the key improvements that have set the new model apart from its predecessor. Just like the ADAM Audio A7X, the 20/20 BAS uses front ported bass so that it can fit closer to walls, a must-have for any small studio space. Despite its numerous upgrades, the Event 20/20 BAS still stays true to its original strengths and the character of its tone. Though updated for the modern era, this new hardware nonetheless embodies the overarching Event goal of high output, minimal distortion, and excellent dynamics. This monitor also features a cabinet design that retains the original transducer volume while also maintaining the quality cabinet bracing, the bi-amp design, and the solid construction that has only changed to increase reliability and improve the model’s dynamics. But the changes keep getting better. The all-new tweeter and woofer have less than .01% Total Harmonic Distortion, and burst power allows the system to reach as high as 250 watts. To give you a sense of perspective, this means that the new Event 20/20 BAS has double the power of the original, while still managing to cut the distortion level nearly in half. Between these changes and the oversized toroidal power supply, this model has some of the best output around, although its high frequencies aren’t always at the same level as some of the other options on this list. With years of experience and success in studios across the globe, you would expect these monitors to break the bank. But despite their new design and updated specs, the Event 20/20 BAS model is still moderately priced, making it nearly impossible to beat both in performance and in affordability. As a venerable name in the recording industry, Genelec a Finnish company established in 1978 is known for producing top-of-the-line products that are just as much at home in a home setup as they are in a dedicated professional studio. 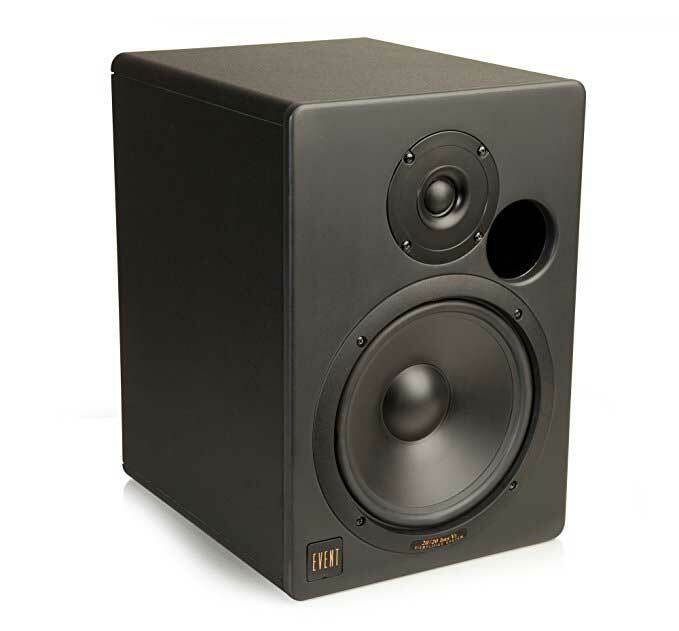 Though many of their high-end monitors are far too pricey for the average hobbyist producer, their newer M line is specifically designed with a lower price tag in mind. In particular, the Genelec M040 active monitors have a nearly perfect balance that makes them an ideal choice at any level. Featuring a 6.5-inch low-end driver and a 1-inch high-end driver, the M040 can easily reproduce nearly any frequency. In particular, this model specializes in the low-end frequencies prevalent in dance music, making this the obvious choice for anyone looking to produce tracks within that genre. When using the Genelec M040, you’ll notice less of the bass-intensive program material that is often present in acoustic music. With these monitors, you’ll get nothing but the purest sound for making your mixing decisions. Even better, this model is an ideal choice for a studio middle, as it falls right between an Auratone Clone and a powerful monitor set with a subwoofer. Finally, the downward facing bass ports mean that the M040 works great even in small rooms. In addition to its powerful specs, the Genelec M040 has a reputation as one of the most environmentally friendly options around. The monitor is made entirely from recyclable fiber composite materials, and it comes standard with energy-efficient Class D amps. Additionally, the M040 boasts the unique feature known as Intelligent Signal Sensing, which automatically powers down the unit when it had not picked up an audio signal during a set amount of time. If you’re looking for a high-quality studio monitor that also keeps the environment in mind, then the Genelec M040 is the definite choice. With powerful hardware and a reputation as one of the best brands around, the only major downside is the higher price, which puts it at more than double the cost of some of the other models on this list. The KRK Rokit 5 G3 is easily one of the more popular monitor choices of all time, particularly for home studios. KRK’s design philosophy is for accuracy, transparency & flat response. With a distinctive yellow speaker appearance, precise audio, and an unbeatable price tag, you would be hard-pressed to find a model from any brand that offers more quality per dollar. Now on its third major iteration, the KRK Rokit 5 features a new waveguide that is designed specifically to ensure superb imaging. Soft-dome 1-inch tweeters produce nearly perfect clarity, while glass-aramid composite 5-inch woofers give a stellar midrange with tight bass. Top it off with both low-frequency and high-frequency adjustments that can cater to virtually any preference, and you’ve got a solid monitor that’s hard to beat. 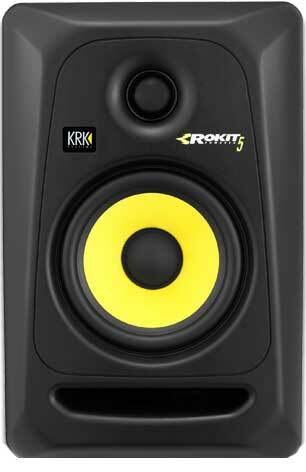 Despite its good specifications, the KRK Rokit 5 has been known to have occasional problems with delaying output sound. Even still, the model has gained thousands of positive reviews, and at a low price point, it would be almost impossible to get a better deal on a quality piece of equipment. If your budget is tight or you’re just starting out building your studio and want to get your feet wet before committing to an expensive setup, then the KRK Rokit 5 G3 is perfect for you. After making a major name for themselves creating microphones, Neumann recently switched to a different side of the recording process and began designing monitors. The result is the Neumann KH, a newcomer to the market and the very first product in the brand-new Neumann Studio Monitors line. Designed to work either as a near-field loudspeaker or as a rear larger multi-channel system loudspeaker, the KH monitor may be young, but it has all the same features as its older competitors. The Neumann KH features only the latest technologies when it comes to acoustic simulation, electronic simulation, and measurement. Thanks to a composite sandwich cone design and dome drivers made from titanium fabric, this monitor can produce some of the most accurate audio around. In addition to an extensive hardware mounting range and a sizeable headroom analog input, the KH also sports flexible acoustic controls and analog amps, plus a little something extra. These monitors, as well as all subsequent KH models, contain a Mathematically Modeled Dispersion waveguide (MMD) specially designed to reduce room reflections, increase driver loading, and yield an overall smoother audio quality. No matter your needs, the Neumann KH is an expert in versatility for a wide array of locations, equipment, and conditions. With individual units falling within the higher range, this monitor isn’t for everyone, but those who buy it won’t be disappointed. Nothing to bring up yet! 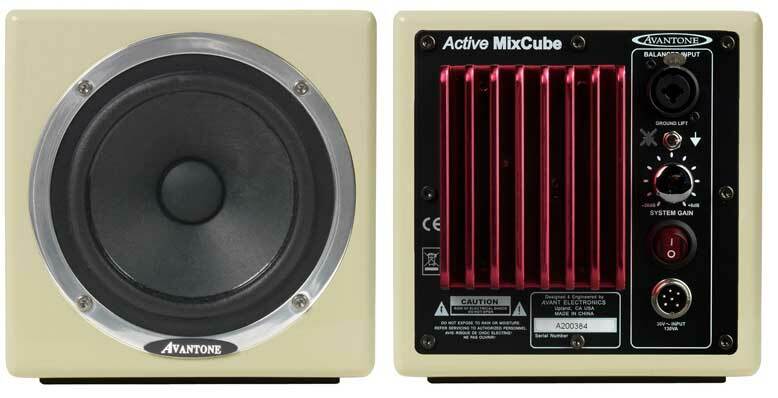 Though not as much of a heavy-hitter as some of the other items on this list, the Avantone Mix Cubes nonetheless offers several interesting features. These monitors use a balanced input through an XLR combo, which in turn takes a balanced male XLR plug, as well as either a balanced three-conductor TRS quarter-inch male plug or an unbalanced two-conductor TS quarter-inch male plug. Mix Cubes also include a control that allows you to adjust the signal sensitivity seen at input. Avantone Mix Cubes may not have the crisp, perfect audio like some of their competitors, but rather than being a flaw, this is an advantageous design choice when employed correctly. While higher-level monitors play audio precisely as it is, Mix Cubes play it as it typically sounds to consumers listening at home on standard speakers or headphones. This way, producers can make sure that their tracks sound good not just in the studio, but anywhere they are played. Thanks to their compact design, Avantone Mix Cubes are great for tiny spaces such as apartments, but their best use is as supplemental monitors. By getting both a bigger, better-quality speaker and a pair of Avantones, you’ll know for sure that your audio is both technically perfect and properly calibrated for music lovers who just have standard gear. And with a comparable price range, there’s almost no reason not to add a Mix Cube to your home setup. On the entirely opposing side of the spectrum, the Focal Twin6 Be monitor offers some of the very best near-field sounds that money can buy. This audio juggernaut features exceptionally clear, near-linear frequency response in the 40Hz-40kHz range, meaning that it plays sounds that fall outside the typical human hearing range. Featuring an inverted dome tweeter and a substantial dual-woofer, this monitor offers phenomenal response for both bass and midbass, not to mention a stable midrange and beautifully detailed highs. What truly sets the Focal Twin6 Be apart, however, is its unique design. Unlike most other monitors, this model uses 6.5-inch drivers for both bass and mids, with a smaller third cone rounding out the mix. No matter what type of music you’re producing, a Twin6 Be will play it with unrivaled sharpness and unsurpassed clarity. Unfortunately, the quality of this product does not come cheap. The typical Focal Twin6 Be will add an extra “0” to your budget, making it far and away the most expensive entry on our list. But rest assured: with this monitor, you will get what you pay for. If you’ve got the extra cash and you’re looking to launch your home studio to the next level, then Focal has the answer you’ve been waiting for. Before diving head-first into the recording section at your local music store, it is essential to understand the basics of what a studio monitor does. 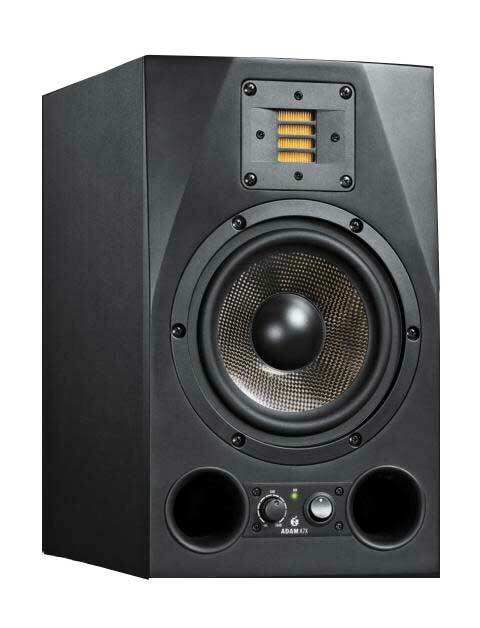 Anyone who has ever seen a set of studio monitors (also called nearfield monitors and recording monitors) knows that they look similar to regular stereo speakers, but they are much more than that. Standard consumer speakers specialize in highlighting specific frequencies to give the music a cleaner overall sound, but studio monitors do just the opposite. Instead of accentuating certain frequencies, these monitors play them all with a flat frequency response, meaning that you will be able to hear any flaws in the recording. This way, you can zero in on specific issues and fix them accordingly. When comparing active and passive monitors, you’ll quickly find that neither type is inherently superior to the other. Instead, they each have specific features that will work better for different people depending on their space and performance needs. On the one hand, passive monitors are only modular, meaning that they must be matched with both a proper crossover and a suitable amplifier. Despite the need for extra equipment, these monitors are still incredibly popular even today. In fact, throughout history, the music industry has often used passive monitors in professional recordings for countless artists and bands. 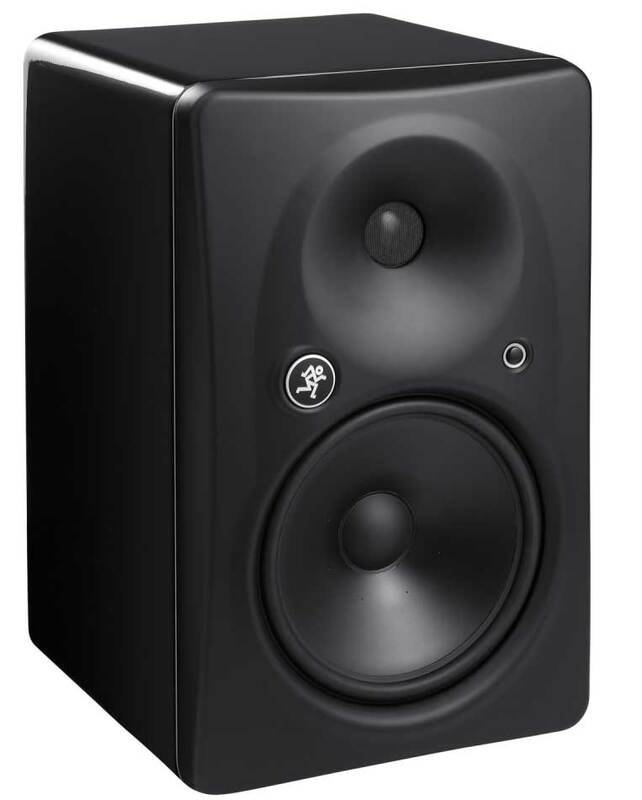 That said, there are still a broad variety of active studio monitors available, and they come with their share of advantages. Unlike passive recording monitors, active monitors already have a crossover, and an amplifier built directly into them, meaning there is no need to worry about buying additional gear or trying to arrange extra cables. Also, since everything comes pre-assembled, you know for sure that the internal amplifier matches well with the speaker and delivers the best sound quality possible. It is possible to buy a passive system and connect it with the proper gear; it all comes down to how much of your time and effort you want to put into setting up your studio. If, however, convenience is your top priority, then an active monitor is the choice for you. Not only will it be easy to set up, but the performance will be undeniable. The way that you handle your audio system’s power will considerably impact the overall quality of your sound. In fact, studio monitor power affects much more than just the volume–it also plays a major factor in the dynamic range of your setup. As a general rule, a monitor with a higher wattage will allow you to hear more of the minor detail that can make all the difference in fine-tuning your recording. The better you can hear these minute imperfections, the more easily you will be able to adjust your limiters, compressors, and gates. In essence, a higher wattage recording monitor will afford you more headroom and make it simpler to edit your music. Additionally, many artists are unaware that music will often peak with particularly strong pieces of the track, such as pounding bass drums. When this happens, the recording may need as much as ten times the standard power output in order to keep a clear sound. Without sufficient wattage, the track can experience distortion or even clipping. While high-power monitors may seem like overkill at first, they can make all the difference when reaching the musical peak. You may not need the single highest power studio monitor available, but you should make sure that you get one that’s powerful enough to handle the dynamic range of your music. Drivers come in several different configurations, including single-amp, bi-amp, and tri-amp, each of which differ in how the input signal splits between the driver that is available. Many of the best studio monitors contain two separate types of speakers: a woofer for frequencies in the middle to low range, and a tweeter for the higher end of the spectrum. It is also possible, albeit less common, to add a dedicated third speaker designed to cover specifically mid-range frequencies. All of these different pieces must be connected via a crossover network which splits the output from a single amplifier amongst multiple speakers. On the other hand, bi-amps and tri-amps have crossover networks that run between two or three different amplifiers, respectively, in order to power the low-, mid-, and high-frequency drivers. 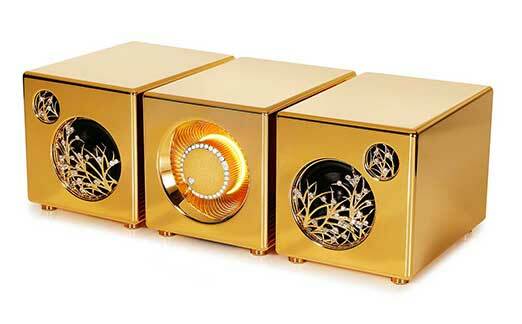 As a general rule, these amps have better definition and clarity, making them the preferred choice for many studios. Some monitors, regardless of their size, have a ported cabinet that can lengthen the response of the lower frequencies, meaning that you can easily hear more bass. While this feature can be beneficial in some cases, the overall precision that you get with a ported cabinet is often less than that of a closed cabinet. Additionally, ports that are on the back of the speakers will frequently end up against a wall, which will decrease your accuracy even further. Most of the time, a closed cabinet or a front-ported monitor will yield a better overall sound quality. Provided that you have a good-quality monitor, the purpose of your cabinet is to give the best possible performance to the drivers. Subsequently, you should choose your cabinet with your driver in mind, including making sure that it is non-resonant and won’t skew your audio output. Thankfully, many studio monitor cabinets are sturdy and come with specialty joints that are designed to get rid of unwanted resonance. An ideal cabinet will have ports or passive radiators to help the monitor with low-end output, which in turn will improve the handling and clarity of the bass frequency. Your cabinet should also have radiused edges to minimize sound wave diffraction, thereby increasing clarity and sound imaging. 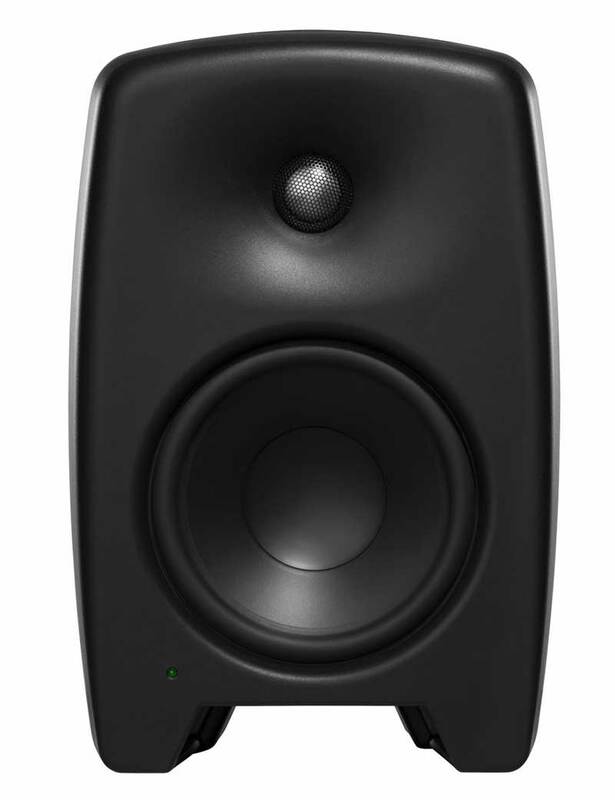 Many of the best studio monitors contain a built-in EQ to help you tune them for maximum effectiveness. Some may even have digital processing that will help boost overall performance. On the one hand, these extra options can go a long way toward making up for a bad-sounding room. But on the other, the won’t fix uncontrolled acoustic issues in your control room itself. As such, these options should be considered bonus features, not primary necessities or substitutes for other equipment. THD, short for total harmonic distortion, gives you the general accuracy of the output by telling you how clearly your studio monitor will reproduce the recorded audio. Some monitors also use the term THD+N, or total harmonic distortion plus noise. There is virtually always at least a small level of noise or distortion present in every audio circuit, and THD+N will let you know how much is present in each connected monitor. Some circuits, especially those that are poorly designed, will produce more distortion than clean circuits. These bad circuits are more prevalent in commercial speakers and headphones, but you should always double-check to make sure your studio monitors are free from such issues. Many monitors contain a description that uses words such as near-field, mid-field, and far-field. These terms designate the listening configuration of the monitor, which in turn will help you select which one you need for your individual setup. On one end of the spectrum, near-field designs are ideal for close listening range; conversely, far-field designs favor audio quality and accuracy over much longer distances. As you can probably guess, mid-field designs attempt to offer a compromise between the two extremes. Most studios are relatively compact, meaning that near-field monitors are a solid choice for allowing you to hear the sound directly out of the speakers instead of as a reflection off the walls, floor, and ceiling. If, however, you have a much larger studio area, then mid-field or far-field speakers are a must, provided that you have given the room proper acoustic treatment. All in all, there are plenty of fantastic recording monitor options for anyone looking to set up a studio of their own. Monitors come in so many different shapes, sizes, styles, and prices, which means that there is almost guaranteed to be an option to fit any need. Whether you’ve been producing tracks at home for years or you’re just now looking to get into the game, the monitors on this list offer the perfect mix of features that can turn any studio into something good enough to rival the pros.